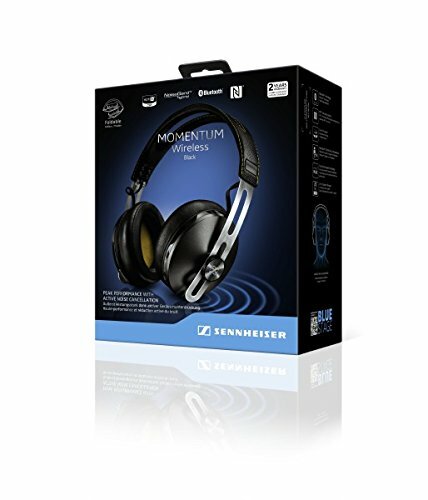 The first generation of Sennheiser Momentum wireless headphones were released in 2013. They were very well-received due to its style and performance, but were criticized in their level of comfort. 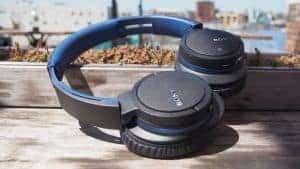 In its second generation, Sennheiser has made some tweaks to address this issue and improve upon its design and performance so lets cut to the chase and bring you the Sennheiser Momentum 2.0 Wireless with Active Noise Cancellation headphones review! The headband has joints on both sides that make it collapsible for easy transport. The earcups are large and thick, solving their predecessor’s issue of making your ears sore after wearing them for too long. They are very soft and maintain a nice grip on your ears without hurting them. They also keep your ears cool instead of making you pant from your own body heat. 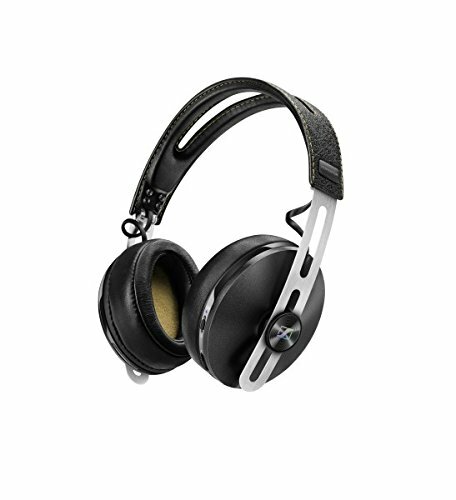 The Sennheiser Momentum 2.0 Wireless with Active Noise Cancellation headphones are a combination of aluminum, leather, and plastic. Miraculously, Sennheiser has done an excellent job of blending these together into a fantastic-looking design which was a pleasure to use for this review. The headband on the Sennheiser Momentum 2.0 Wireless with Active Noise Cancellation headphones has joints on both sides that make it collapsible for easy transport. The earcups are large and thick, solving their predecessor’s issue of making your ears sore after wearing them for too long. They are very soft and maintain a nice grip on your ears without hurting them. They also keep your ears cool instead of making you pant from your own body heat. The right earcup has a power button, a volume button, and a track skip button. The power button also acts as the pairing button. The Sennheiser Momentum 2.0 Wireless can remember up to 8 pairing devices and can also be connected through NFC if your phone allows it. Sennheiser has made two different versions of these headphones so that both Android owners and iOS owners can use them. 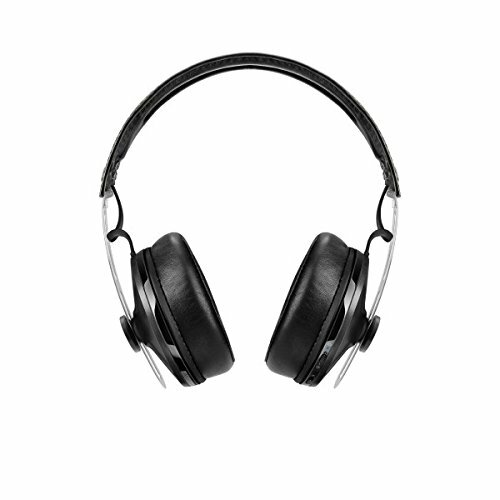 These headphones have an incredible battery life of 22 hours- 25 hours on low volume with noise cancellation. You can also use with with its microUSB cable in case the battery runs out. 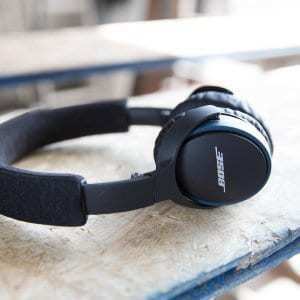 These awesome over-the-ear wireless headphones have a superb active noise cancellation system utilizing Sennheiser’s top-of-the-range dual microphone NoiseGuard technology to lock out all outside noise whether listening to music or making a phone call. You would be hard-pressed to find any other headphones that have more effective noise cancellation. 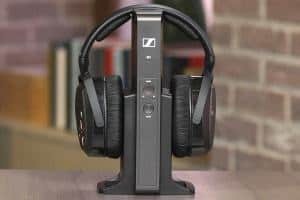 The sound quality of the Sennheiser Momentum 2.0 Wireless with Active Noise Cancellation headphones is easily the warmest and richest of all other wireless headphones there are on the market. Regardless of what genres you listen to, it’s fantastic. The treble level is perfectly balanced, not too high and not too low. Middle notes are very clear, despite the headphone’s strong bass. However, these headphones won’t give you the same thumping bass as Beats headphones. The sub-bass is impressive- it sounds like you have your own little sub-woofer. Each detail of the music is clear and crisp. The sharpness is a bit jarring for newcomers to this level of quality, but it’s easy to get used to.